Ukrainian native Yuri Shapochka has traveled a long way, literally and figuratively, to arrive at his current career as a filmmaker. From his beginnings in the USSR, where he worked as a journalist, to the U.S. where he has honed his skills behind the camera, Yuri has combined all his passions to become and award-winning filmmaker. His new feature, Clubhouse, is making the festival circuit beginning with the Orlando Film Festival in Orlando, Florida, on October 17 and 20. But in a recent interview he told us, "I hope our film will have a chance to be seen by the worldwide audience." Yuri explained his background, "I was born in the country that doesn't exist anymore: the USSR. The Empire of Evil for some and the greatest place on Earth for others. I had a happy childhood and wouldn't trade that experience for anything else. Even now, I stay in touch with the most of my childhood friends. As kids we weren't too obsessed with material things, we had other interests: books, music, movies." His love of movies ultimately led him to the U.S. He joked, "I was going to Birmingham, England but ended up in Birmingham, Alabama." He described his journey, "Back in the Ukraine I was involved in the TV world. I participated in a television program that provided a critical look on Ukrainian political life. I worked with Vladimir Kornilov, a journalist and writer, who is now the number one political expert in the Ukraine. Recently, he published his sensational book about Donetsk Republic, a self-declared republic that was founded in 1918 and sought an independence from Ukraine. In our TV programs we talked about many hot issues including corruption and radical nationalism. That experience helped me to set my standards and start writing scripts, and later to make films." After arriving in the States he worked for a production studio in Alabama, learning the ins and outs of the technical side. He also studied screenwriting, directing and producing and even took a course in acting at the Lee Strasberg Institute to learn what it was like on the other side of the camera. This all culminated in an award-winning career as a filmmaker. Yuri described the premise of his latest work, Clubhouse. "Robert, a disabled Iraq War veteran, restores his family’s magnificent old Southern home and uses it for the greater good of the community, but discovers some wicked plots made against his life and property. Clubhouse is a revenge play and morality tale. It features my favorite genre: black comedy." Yuri told us, "I wanted to explore the theme of various temptations that we experience every day. Also, the themes of love and aggression, friendship and betrayal, peace and violence." 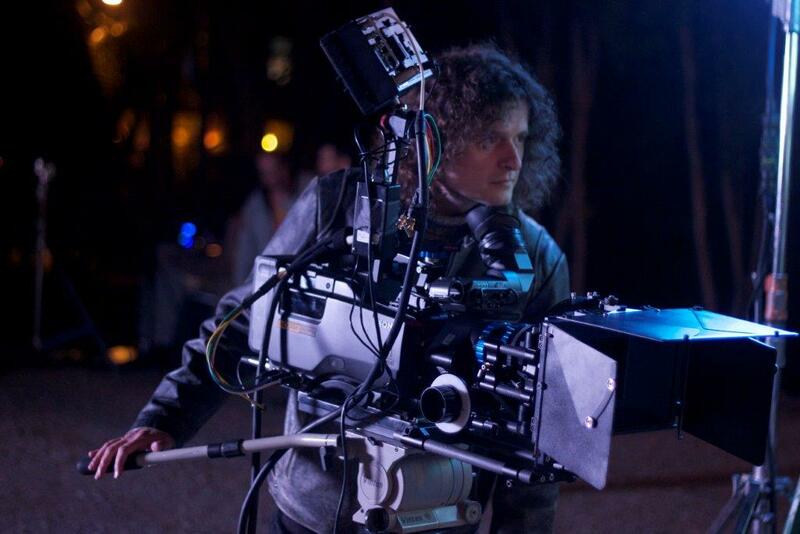 Yuri worked on the film with Cinematographer David Brower. He said of his collaborator, "David Brower is a living legend in the South East film world. It’s an honor and great privilege for me to work with him. David has the calm mindset of a Zen guru and the eye of a painter. His vision is unique; he works with lighting like a poet. Normally, the labor on the set is very tough physically, but with David it doesn’t feel difficult. David told me once: 'What’s the point of working so hard if we don’t enjoy it?' When not shooting, we meet regularly and discuss new ideas and concepts. David is a huge source of inspiration." The film stars Tim Abell (an ex-Army Ranger and veteran TV and film actor) and Leslie Easterbrook (Police Academy). Yuri explained, "I met Tim Abell a few years ago on a movie set in Los Angeles. Later, when I was casting Clubhouse, I clearly understood that he would be a perfect choice for the main role. A former US Army Ranger, Tim Abell brought the character of Robert McKenzie, a disabled veteran, to life. Tim introduced me to Leslie Easterbrook and when she read the script, she kindly agreed to step onboard. Her presence on the set made all of us happy. I had amazing experience to work with true professionals who are so dedicated to their craft." These pros helped Yuri tell his metaphorical tale. He stated, "I wanted to show immorality through the unusual actions of usual people. I told a story open to diverse interpretations. But the bottom line: How likely is it for the World to improve by way of violence?" For more information on the film visit the Clubhouse website.